Recognize your team's success and celebrate individual achievements with our custom-etched World Globe Pinnacle Award! 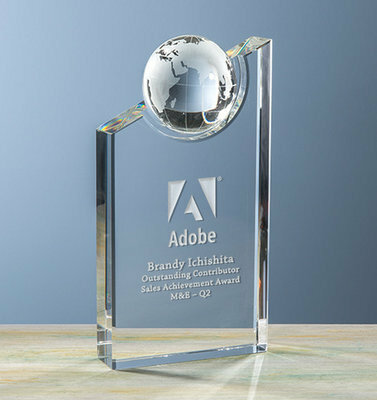 These fully customizable trophies are made of optical crystal and feature a handsome attached half-globe. Available in three sizes, each award comes packaged in an attractive presentation box.